Luis Coronel set to perform at 2019 Fair! 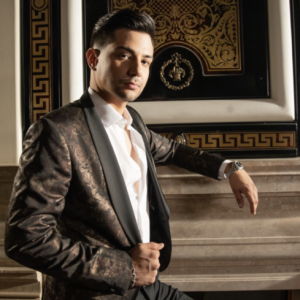 Home › Latest News › Luis Coronel set to perform at 2019 Fair! (PASO ROBLES, CA) – The California Mid-State Fair is pleased to announce that Luis Coronel will be performing at the 2019 Fair on Sunday, July 21, with performances at 6:30 pm and 8:30 pm. The concerts will take place on the Frontier Stage and will be free with paid Fair admission. Born Luis Miguel Coronel Gamez in Tucson, Arizona, Luis has become one of the most successful entertainers in Latin music. To many, he is the dreamy guy with a smooth voice and sweet smile, but it is his openness that resonates with his fans. As Luis’s career blossoms, it is his values, integrity and work ethic that fuels his passion. Luis has conquered the Billboard charts, become a fixture on top-rated television shows, tours consistently to sold-out venues and has recorded signature songs of love that have catapulted the singer/songwriter into the hearts of America and Latin America. A social media phenomenon with followers in the millions, a highly spirited fan base and a rapidly rising career of fever-pitch proportions, the charming teen star embodies and inspires the best of the youthful, smart and savvy millennial generation. The Huffington Post called Luis a “...phenomenon as organic as the Beatles...,” while Billboard in 2014 crowned the artist as one of the 21-Under-21 entertainers having substantial impact in music along with his peers Justin Bieber, Lorde, Becky G and Austin Mahone, among others.